Inter Milan want £20m from Chelsea for Mauro Icardi Serie A side Inter Milan have put a price tag of £20million on their striker Mauro Icardi, according to Tuttosport. 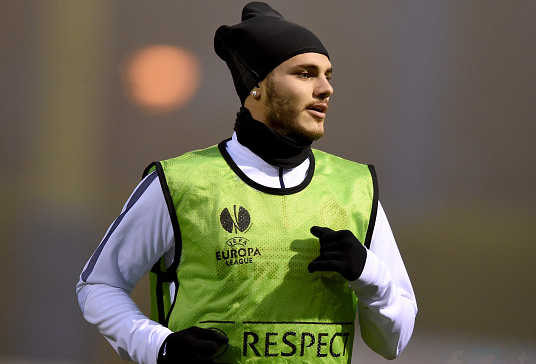 Serie A side Inter Milan have put a price tag of £20million on their striker Mauro Icardi, according to Tuttosport. The Italian media have also revealed that English side Chelsea are strongly following the Serie A striker. The Italian side have already made it clear to the clubs who are targeting their star striker that only a bid around £20million is acceptable else their bid will be wasted. The Blues are planning to splash £18million for the 21-year-old striker to seal his deal in the coming transfer window. Also, Express reported that Inter Milan have made their mind to sell their youngster due to financial problems. Inter Milan are under investigation from UEFA Club Financial Control Body officials, who might announce a fine or a ban from the transfer activities against them according to Inter president Erick Thohir. The Argentina international has been exceptional so far this season. He has netted 12 goals in 20 appearances for the Italian side in all competitions. The Italian media also claimed that Blues Boss Jose Mourinho has been keeping tabs on him for the past few month and has set his eyes to complete his move next month.